Announcement After Henri Bendel of Fifth Ave fame jump started our hand-knit collection, the focus has been on Tongue-In-Chic, smile-worthy, lust-have, must-have, crave-worthy fashion. 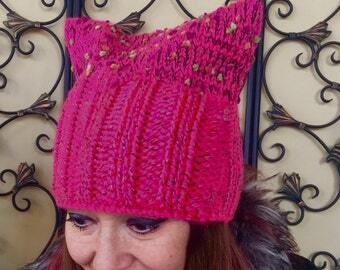 Our collection is handmade, handknitted, handcrafted and made in the USA. Our selection is perfect for gifts and free gift wrapping is offered. 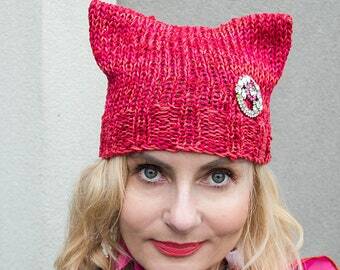 In tandem with The PussyHat Project, our PussyHats have been worn by participants in the Womens' March in Washington, DC and nationwide. 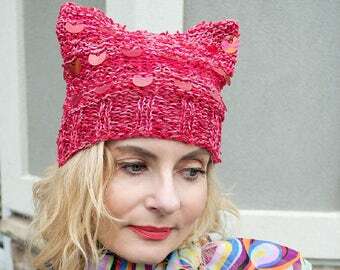 For warmer climes, see the lightweight cotton/rayon PussyHats. 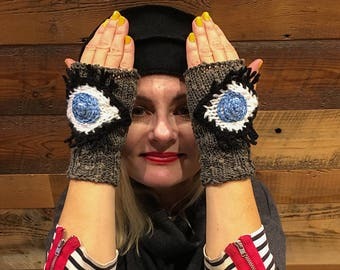 The March For Our Lives- The Evil Eye handwarmer glove, conceived by Krista Suh, creator of the iconic PussyHat, is to effectuate her vision of a Sea of Eyes as a visual conscience for all the lives lost to gun violence in the USA. This design symbolizes our defiance as well as our demand for immediate change. The Evil Eye, a strong Middle Eastern symbol, wards off evil and protects the wearer. In support of this effort, proceeds will be donated to various anti-gun violence charities. 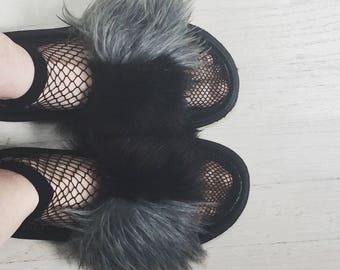 After Henri Bendel of Fifth Ave fame jump started our hand-knit collection, the focus has been on Tongue-In-Chic, smile-worthy, lust-have, must-have, crave-worthy fashion. 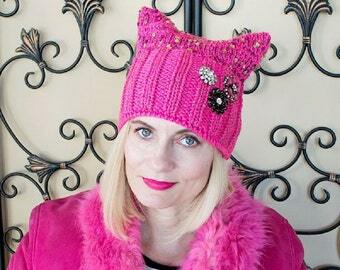 Our collection is handmade, handknitted, handcrafted and made in the USA. Our selection is perfect for gifts and free gift wrapping is offered. 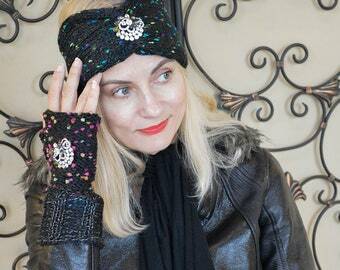 We’re so excited by press coverage of our confetti knit brooch armwarmers. 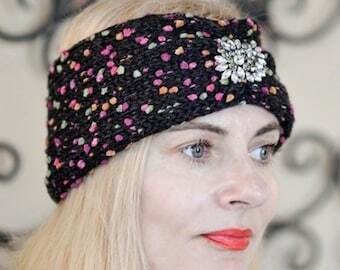 Mix and match with our Instagram-worthy brooch knit headwarmer for a great holiday look. 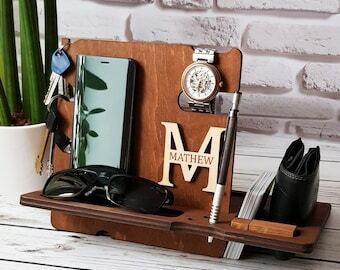 Fabulous gift, too! 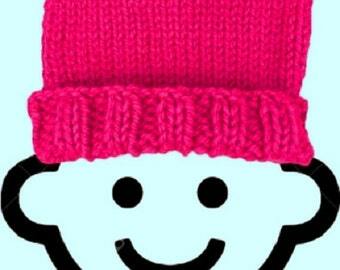 All handknit with a smile. In support of The March For Our Lives in Washington, DC on March 24th to stop gun violence in our schools and our country. 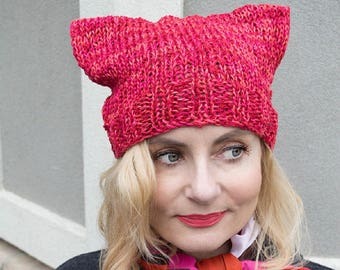 Krista Suh, creator of the Pussyhat, had a vision to create a Sea of Eyes. Proceeds will be donated to anti-gun violence charities. Awesome, glam and gorg Denise sent us this pic. 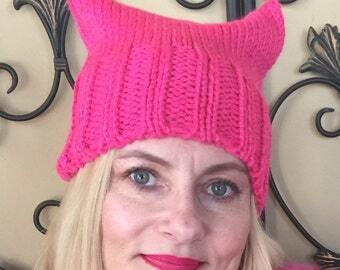 Please send us pics wearing your Pussyhats at the Women’s Marches to info@jamiekreitman.com. This movement and your participation make an impact! Jamie Kreitman, a Brooklyn girl with a New York dream. Fashion obsessed since childhood. Fifth Avenue, her destination. Thrust into business by Henri Bendel. Whimsical knitwear in a colorful fashion became her credo, T's, sportswear, flipflops and accessories followed. All designed with wit, all created to make you SMILE! Always ahead of the fashion curve and Proudly Made in the USA. All of our apparel and accessories are made with pride and care. We stand behind the Jamie Kreitman® brand and hope you will wear it in good health. Custom orders such as apparel and accessories are non-returnable. Other items or if a damage is found in a custom product will be issued an RA# upon request. An RA request must be made within 7 days of receipt of merchandise. Item(s) must be received back at our company offices within 7 days of RA issuance. 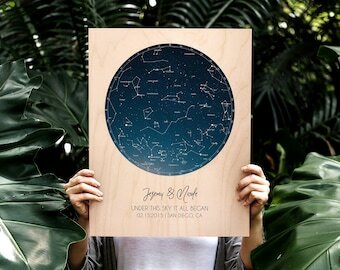 All original packaging and tags must accompany the returned item. 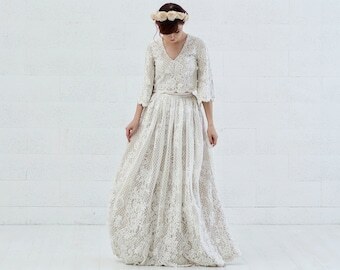 PayPal and credit cards accepted through Etsy Payments. Due to custom order nature of the product, we only accept cancellations/changes after 24 hours of placing order. USPS Priority. Convo for any expedited shipping needs. We only ship in the USA. Customer is responsible for return freight. Original freight charge will be deducted from the refund. 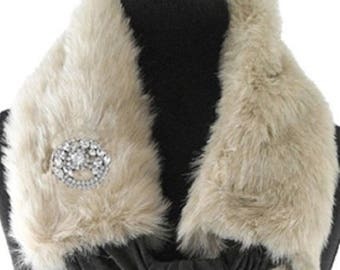 We reserve the right to assess condition of merchandise before issuing a refund.